Want to move to Austria? Apply for Red White Red Card! Austria Red White Red Card is an immigration program. It was introduced to ease the Austria immigration process for qualified third-country nationals. The scheme allows third-country nationals and their family to settle permanently in Austria as per the labour market criteria. 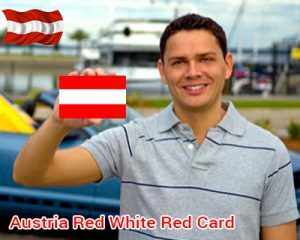 Austria Red White Red Card is granted for 6 months and allows the visa holders to fixed-term settlement and employment under a particular employer. Why Austria Red White Red Card? Who can Apply for Austria Red White Red Card? Applicants who wish to immigrate to Austria on a Red White Red Card need to be qualified under point calculator. Applicants need to attain required points under various attributes such as education, work experience, language skills and age criteria. Austria red white red card application will be evaluated by the Austrian Public Employment Service (AMS). The assessment process will depend on the submitted documents and points will be awarded based on the criteria. Hope you got the required information about Austria Red White Red Card; if you are eligible to apply for Austria Red White Red Card today. How to immigrate to Austria permanently?